Today was the official opening of The Shard, Europe’s tallest building. Well, until the end of the year at least when a new tower opens in Moscow which will be even taller. 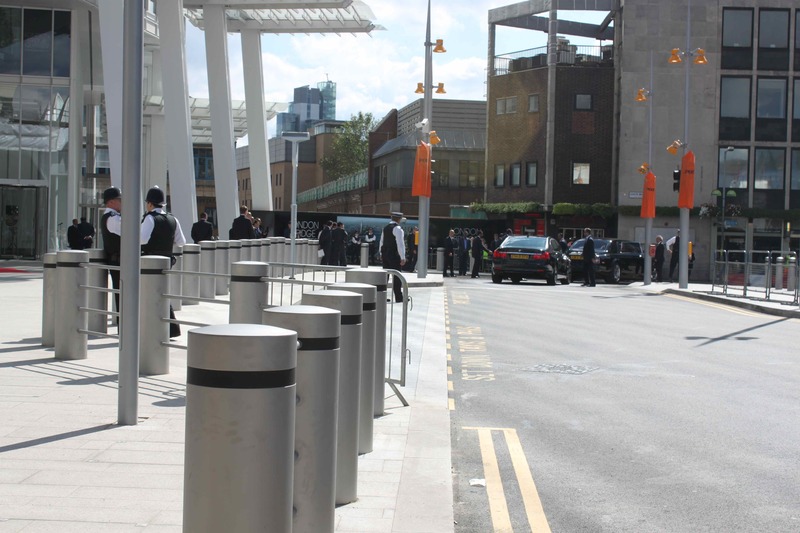 I left work early today and observed the squillions of police at London Bridge, protecting Prince Andrew and senior politicians from Qatar who were there for the official opening. It is not my favourite building in London by a long way but I have enjoyed watching it being built. But I will not be paying £90 to take my family to see the view from the top. I wouldn’t normally read this paper but they do have some excellent pictures from The Shard which are well worth a look. So what has Zoë been eating? Yesterday started so well. I had taken in some of the blueberry and ginger “ice-cream” which I froze overnight in a special silver dish. 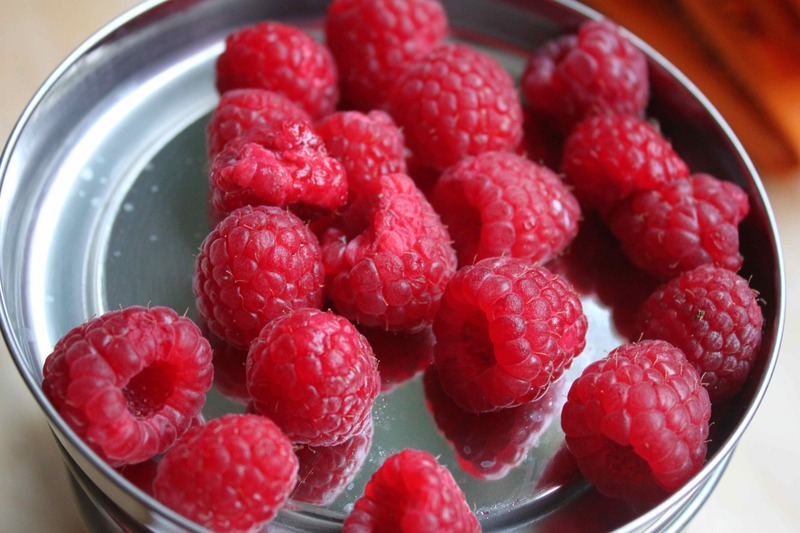 In the morning I added some fresh raspberries which were perfectly ripe and full of flavour. Seen here in a little silver lid. When I got to work, the ice-cream was like soft serve – perfect consistency. 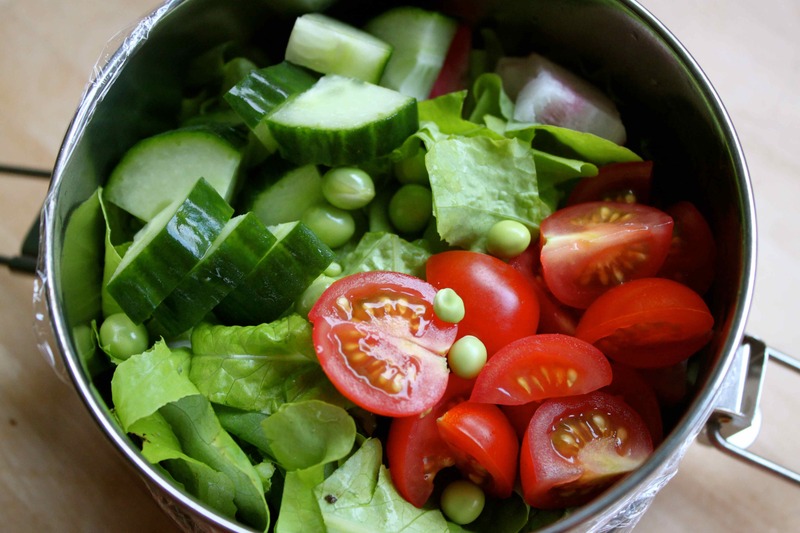 I had also taken in a salad of lettuce, radish and peas from the garden plus cucumber and cherry tomatoes, in a silver dish. 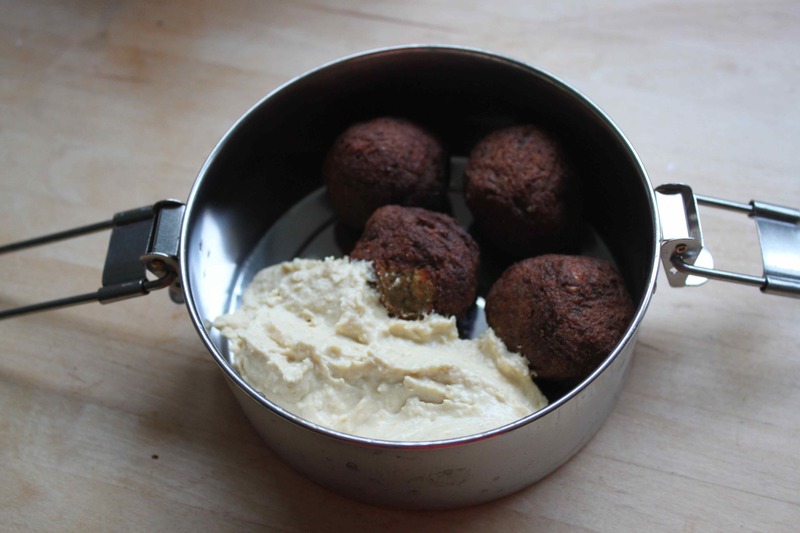 With some sweet potato falafel (which I bought in Waitrose and it was delicious) and hummus, in a silver dish. Why the silver dishes? I have a new tiffin 🙂 . This is the type found in India and I bought it from Indian Tiffin. 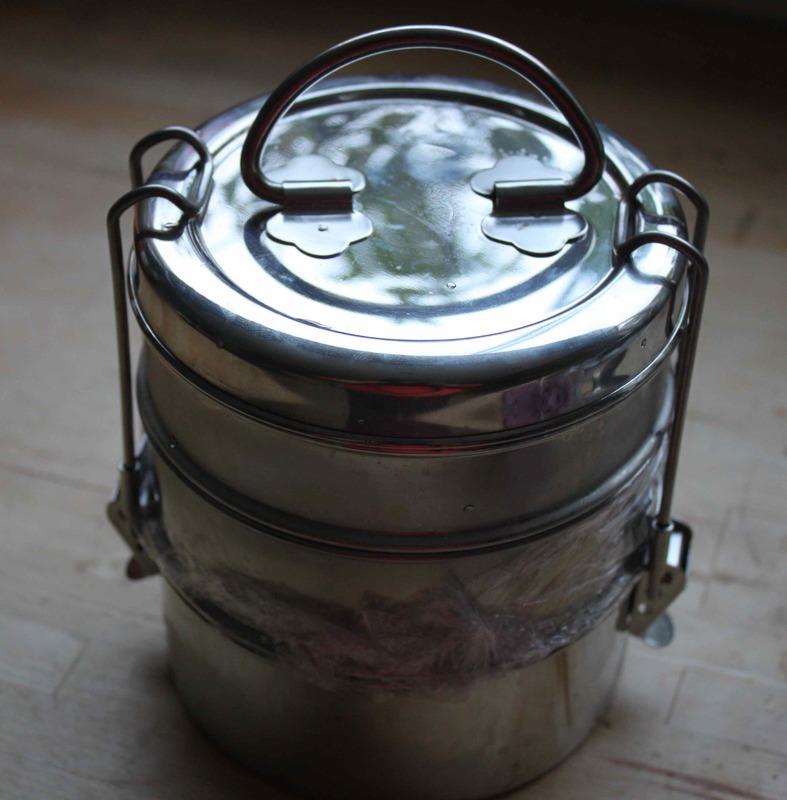 Having enjoyed using my tiffins at the school picnic recently, I decided it would be nicer to take my lunches and breakfasts to work in a tiffin than tupperware boxes. I have never bought anything from this company before but they were very efficient and I was impressed. At lunch time today I went to the market for the first time for 2 weeks and went straight to Turnip. You can never predict their pricing! 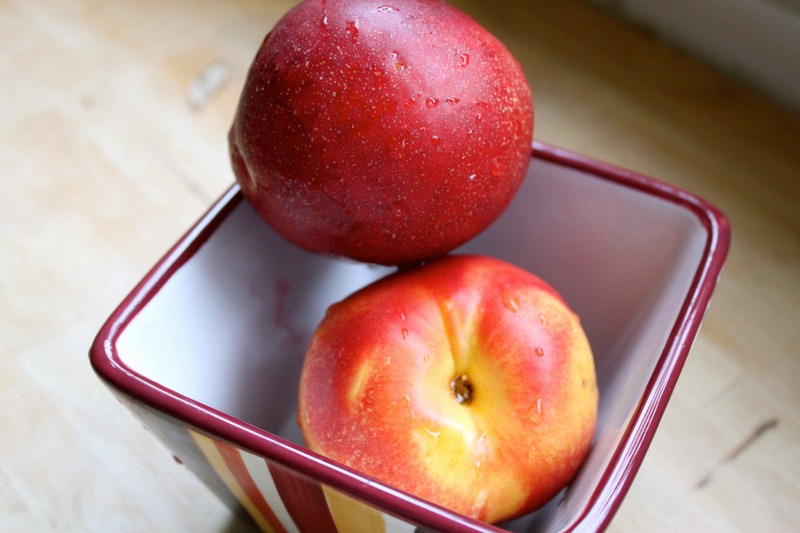 I bought 5 nectarines for £2 which I think is acceptable especially sine they are perfectly ripe, sweet and juicy. 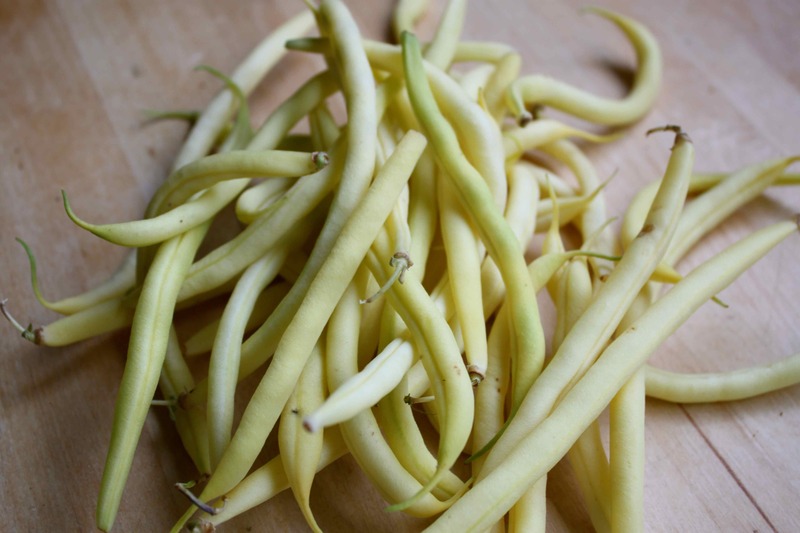 I also bought these yellow beans and they cost an astonishing £4 !!!! I should have said I didn’t want them when I realised how much they cost but I really wanted them so I took them home and decided they needed to be the centre piece of the meal. 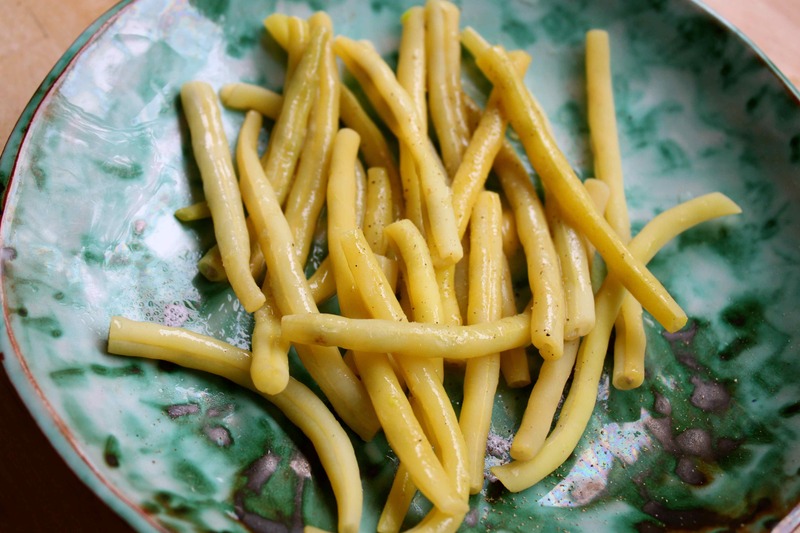 I boiled them for 5 minutes and then ate them alone, with some pepper and butter. They were lovely but not £4 lovely ! And that did me for supper, along with a glass of wine to help me relax after a very hectic and intense couple of days at work. 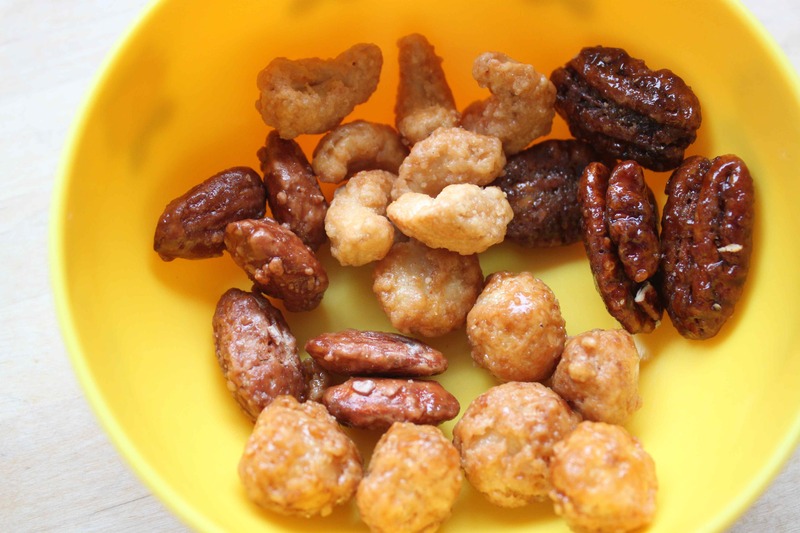 I should add, for honesty, that I also ate far too many sugared nuts which I also bought in the market. These are so naughty but so tasty. Why did I ever buy them? And eat so many? 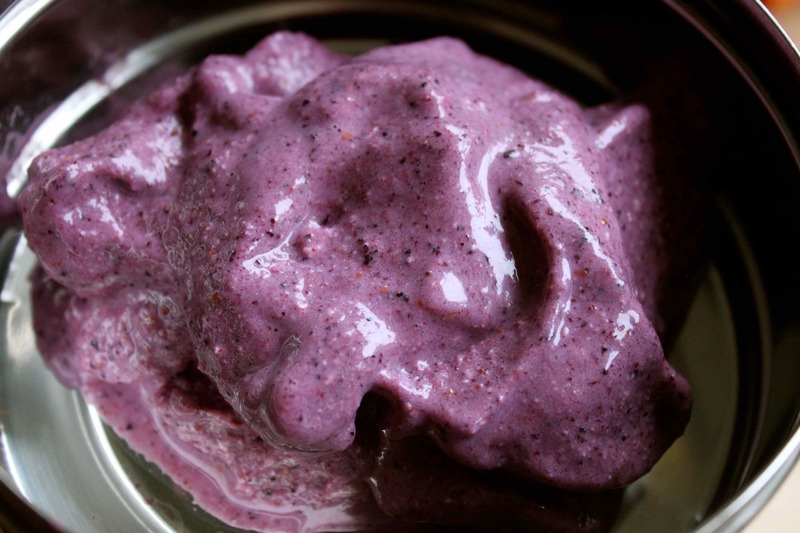 This entry was posted in Diet Struggles and tagged Beans, Blueberries, Raspberries. Bookmark the permalink.